Installation of lighting conductors. Testing and certificates issued for new/existing thatched roofs. 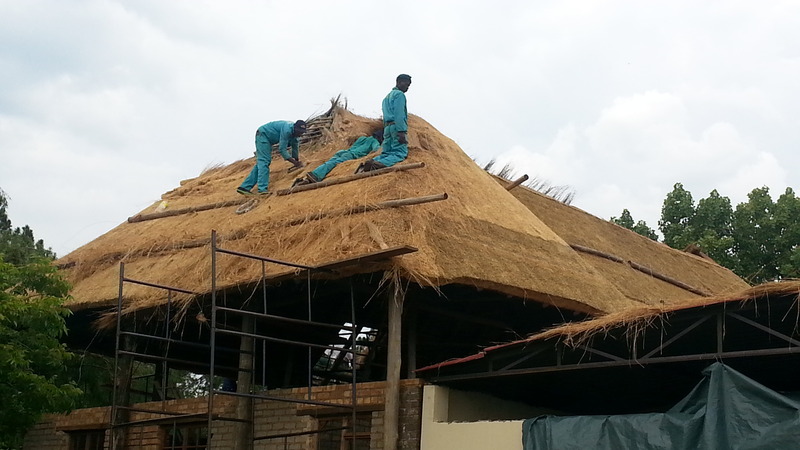 The thatching and building materials we use are SABS approved and the thatching poles are CCA treated. Our competitive pricing has always been an attraction to our clients. Each quotation is unique to the specific client’s needs and is based on calculations determined by location, design, and total area to be thatched. Because of our commitment to perfection and detail, our thatch roofs are spectacular and unique creations that meet the needs of each individual client. We do not believe in compromising any aspect of thatching and will remain professional, creative and focussed at all times. The long list of satisfied clients not only serves as a truly valued referral portfolio but also as a reminder of the trust and confidence placed in our companyduring the past two decades. Our satisfied client base provides the inspiration to achieve the common goal of excellence!